All elections in India should happen in a free, fair and synchronised manner to ensure minimum "campaign mode" disruption to governance, Niti Aayog said in a recent report. New Delhi: The Niti Aayog has favoured conducting synchronised two-phase Lok Sabha and assembly elections from 2024 in "national interest". 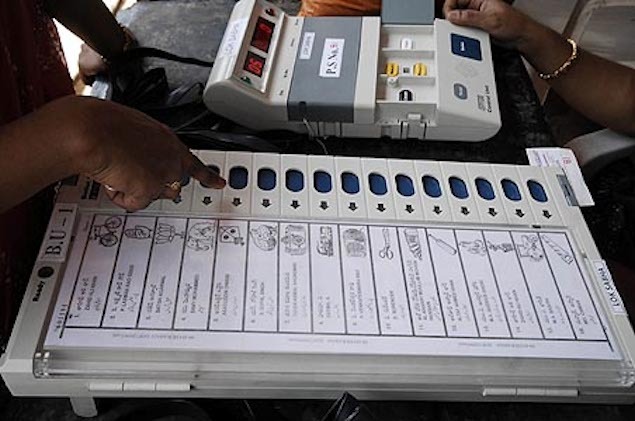 All elections in India should happen in a free, fair and synchronised manner to ensure minimum "campaign mode" disruption to governance, the government think tank said in its report released recently. "We may begin work towards switching to a synchronised two-phase election from the 2024 election to the Lok Sabha. This would require a maximum one-time curtailment or extension of some state assemblies," it said. To implement this in the national interest, a focused group of stakeholders comprising constitutional and subject matter experts, think tanks, government officials and representatives of various political parties should be formed to work out appropriate implementation related details, the report said. "This may include drafting appropriate Constitution and statutory amendments, agreeing on a workable framework to facilitate transition to simultaneous elections, developing a stakeholder communication plan and various operational details," Niti Aayog said in its "Three Year Action Agenda, 2017-18 to 2019-20". It has made the Election Commission the nodal agency to look into the suggestion and set a "timeline" of March 2018 for this purpose. The recommendation of the Aayog assumes significance as former President Pranab Mukherjee and Prime Minister Narendra Modi have pitched for simultaneous Lok Sabha and assembly polls.